NSWCA 1st Vice President Michael F. Rich III (Oyster Bay Water District Commissioner). NSWCA Secretary Kenneth P. Wenthen Jr., (West Hempstead Water District Commissioner. 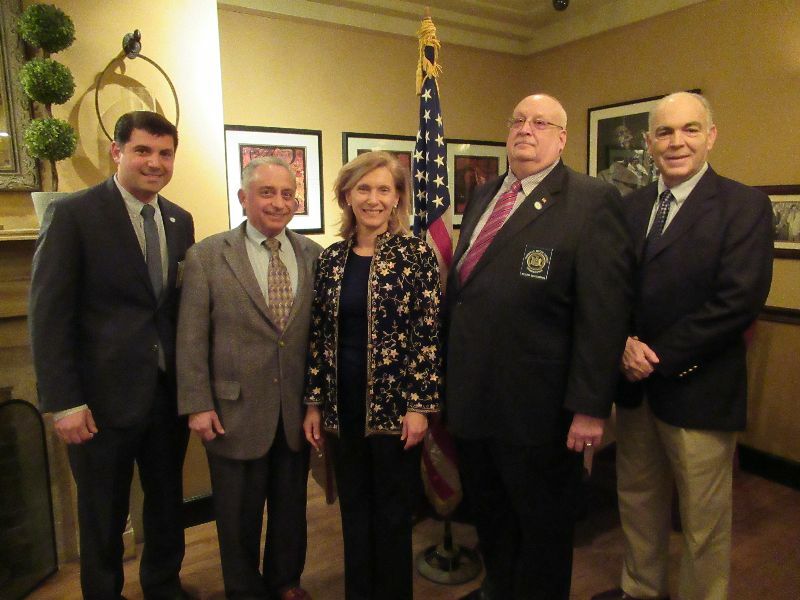 Senator Elaine Phillips, New York State Senator from the 7th Senate District, recently addressed the NSWCA with her thoughts and opinions on a variety of water-related topics. 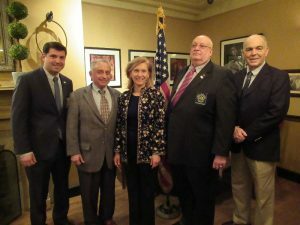 Speaking in front of a full house, she reiterated that ensuring that Long Island water resources remain safe for current residents and future generations is now, and has always been, a top priority of hers. The Senator noted that 1,4-dioxane is at unprecedented levels across the country, and particularly right here on Long Island. She pointed out that there is state funding coming into Long Island, and that some Districts have already received funding for treatment in 2017. Senator Phillips also touched on the reactivation of the Queens wells, noting that this presented a serious threat to Long Island’s aquifers, a threat that Long Islanders “should not and must not accept.” The wells, dormant for many years, pose threats to affect Long Island’s groundwater in unknown and potentially dangerous ways including allowing saltwater intrusion or diverting of underground toxic plumes. Senator Phillips commented that she believed the most responsible course of action is to delay any re-permitting until the current groundwater study by the United States Geological Survey (USGS) in Nassau and Suffolk counties is completed. Only then can we be certain of the impacts that the re-opening of the Queens wells will have on our region’s groundwater.